Ring-necked Ducks at Swan Lake observed 23 January 2007. 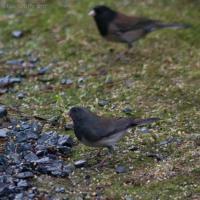 This is was the first slate form Dark-eyed Junco that I had noticed in Sitka. 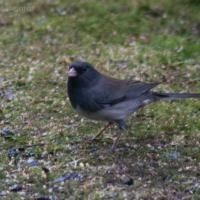 Observed at feeders 23 January 2007. 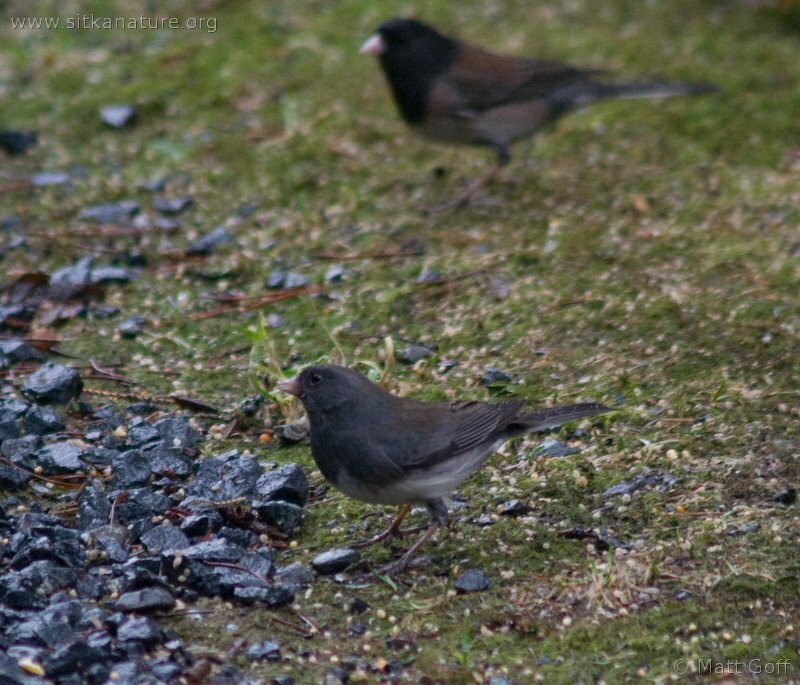 The Oregon form of Dark-eyed Junco (seen behind) rather than the slate form (seen in front) is the typical subspecies seen around town. 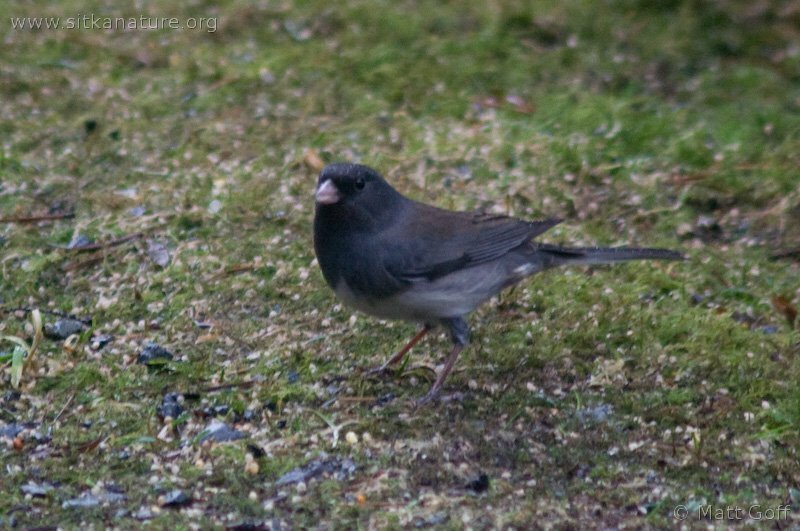 Observed at feeders 23 January 2007. 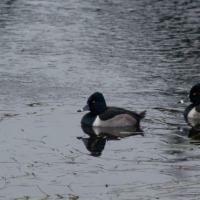 This entry was posted in birds, photojournal and tagged dark-eyed junco, Ring-necked Duck, Swan Lake. Bookmark the permalink.